Charcoal Grey and Gold Bridesmaid Earrings. Jewel Bridesmaid Earrings. 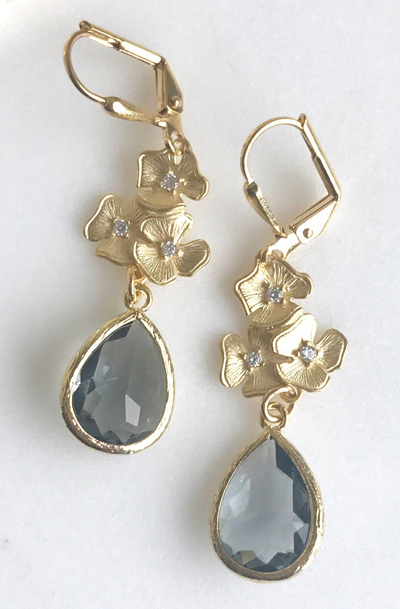 Bridal Drop Earrings. Gold Fashion Earrings. Wedding Gift.